Well two cashes last week that could have been a lot more. In the Abu Dhabi tournament, we had the 18/1 Louis Oosthuizen who finished 4th. Honestly that wasn’t too bad – he had a massive final round so it was a pleasant surprise. The crushing one however was Pablo Larrazabal who was 110/1 to win & E/W. For new followers that means we need him to finish in the top 5 for a payout. Alas he finished sixth after a couple of bogeys on the final round. So unlucky but feels good this early in the year being able to pick out someone at that price to contend. The Desert Classic was even more crushing. 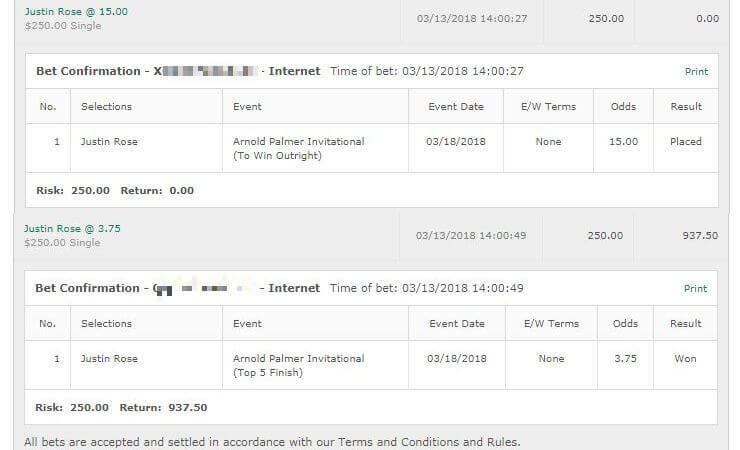 We went into the final hole looking like we were going to get a playoff between our bet Adam Hadwin, the 600/1 Adam Long and Phil Mickelson. Hadwin and Mickelson could only par that final hole however while Adam Long birdied it. It was a sensational final round from Long and while it sucked, I don’t feel hard done by. This early I just consider those three a success. Our long shot bet of Brian Stuard wasn’t too bad either. 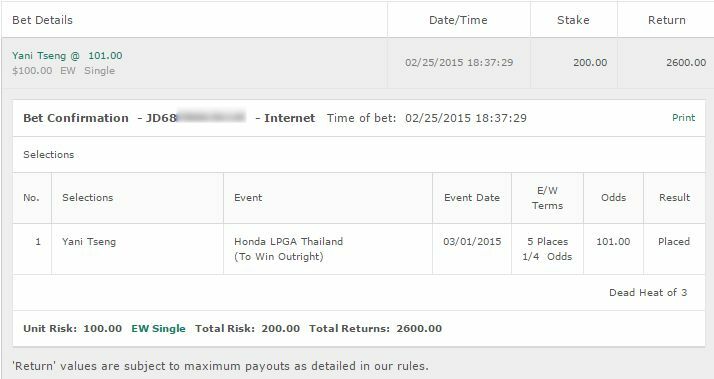 My biggest sweat this weekend was in the LPGA funnily enough and it was due to a personal level bet I didn’t place. Brooke Henderson is from my home city and every month or so, the local newspaper will do a feature on her with an interview etc. For whatever reason – and I refuse to look at the statistical data that will no doubt prove this wrong lol – I noticed a trend that within 3 weeks of her being featured, she’d win a tournament. She was featured last week and I read it and was sad that there was no LPGA tournament that week. Until Thursday evening when I happened to notice there WAS an LPGA Tournament and I had made a mistake in my calendar. Worse – Brooke was freaking leading! She was only 12/1 but still – I was feeling sick ha. And it felt weird watching Brooke and cheering on her to lose. As it is it came down to the final round where she ended up having a disastrous +4. Hated to celebrate that but man – I would have been sick. Always funny how golf is that way. Tough tournament and very top heavy. I could make strong arguments for Rahm, Woods, Finau and Day for sure. Think I’ll wait on those and maybe do some live betting. Marc Leishman: 20/1 Excellent performances lately, excellent course form. Like I said above it’s very top heavy though and he will have to play his A+++ game. So just a small 1/8u to win & E/W. 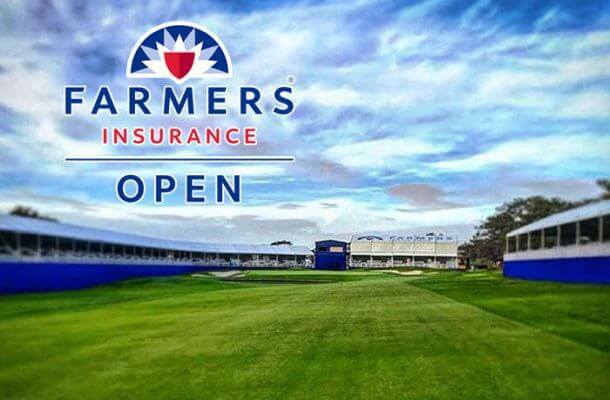 Ryan Palmer: 100/1: Running the metrics on this one, I think Palmer stands a solid chance. Only one performance here in recent years which is last year where he came 2nd. Palmer didn’t make the cut at the Desert Classic but he played decent enough and he ended last year with a bang. 1/4u to win & E/W. 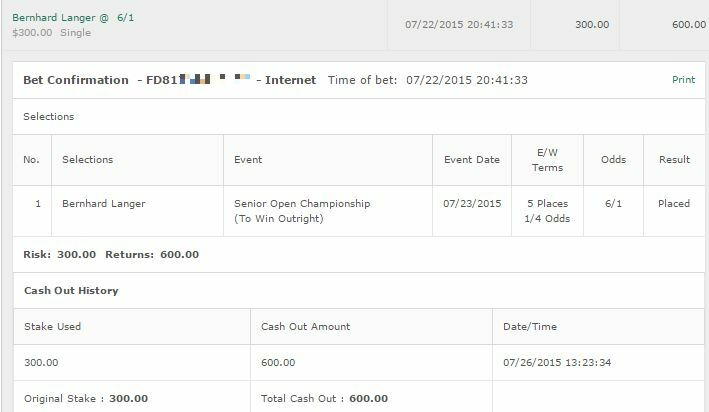 Cameron Champ: 40/1. I was trying to avoid him as I wasn’t really feeling it but he kept coming up enough and the odds are good enough that it’s worth a small 1/8 to win & e/w. Sergio Garcia: 14/1. Out of the top guys Garcia is the one that stands out to me. Coming in with good form and played well here too with a win two years ago. 1/4u to win. Lee Westwood: 40/1. Stands out on the metrics. Good performance at the Abu Dhabi, solid enough form here. 1/8u to win & E/W. Andy Sullivan: 50/1: Lot of solid performances here and seems to be playing decent enough. Worth a play. 1/8u to win & E/W.